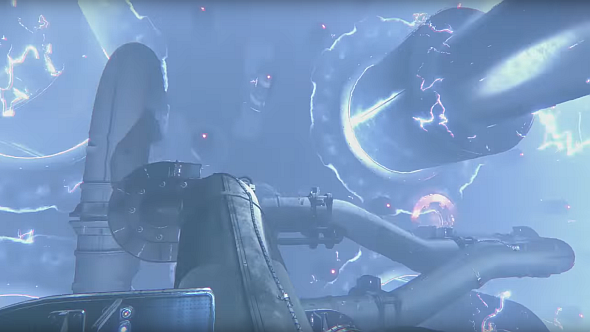 Destiny 2’s Eater of Worlds is the first ‘raid lair’ – an annex for Emperor Calus’s opulent ship, the Leviathan. Like the full Leviathan raid, it is a punishing challenge; a sequence of puzzle-like trials, followed up by a boss, that will force you to use all of your skills and make use of your best weaponry. The raid lair is shorter than Calus’s main Leviathan challenge, but like the full raid, Eater of Worlds does little to explain itself, and as such requires patience to succeed, especially during your first run. That’s why we’ve put together this Destiny 2 Eater of Worlds raid lair guide. Need a fresh raid challenge? Try one of these new MMOs. The raid lair is accessed from the main Leviathan ship locale on the galaxy map, so head there to begin. You’ll need a full squad, naturally, with everyone above the required 300 power level. When your fireteam lands on the Leviathan, rather than heading up the steps to the main raid location, you should instead head through the large door straight in front of you. A series of corridors await, which will lead you the first challenge: escaping the reactor room. As previously mentioned, we’re still working on a full guide for the Eater of Worlds Leviathan raid lair. However, to ensure you don’t go in completely blind, here are a few pointers to the encounters you’ll be facing. To start, you’ll need to be 300 power level or above. Then select the Eater of Worlds raid lair from the Leviathan node of the map to transport your raid team to the front gate. 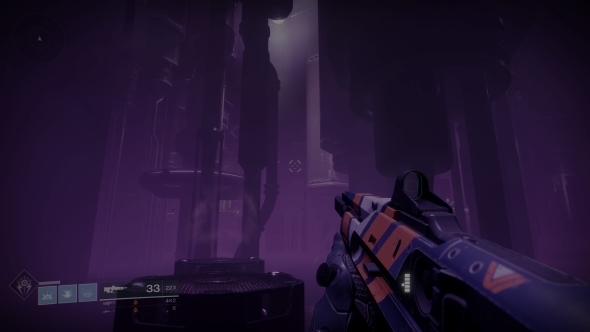 After entering the raid lair and progressing through the tunnel network, you’ll eventually reach a large reactor room with a seemingly impassable purple reservoir. Platforms will arise from the water when you reach the edge of safe land, and hopping on these will cause further platforms to emerge. Only one person can be on a platform at any one time, so get your raid team to form a chain and work your way across the reactor room. On the other side of the room you’ll fight in a wave-defence combat encounter, which upon completion will drop a chest and open a gate in the floor. The next encounter is set in the Leviathan’s engine room, and involves a series of pistons moving back and forth across the room. When they return to their starting position on the left they cause a huge shockwave that will knock anyone off the pipework that makes up the route to safety, plunging them to their doom. The solution is pretty easy; along the network of pipes are right-angle square sections that act as a safe space. Simply hide in these before the pistons emit the shockwave and you’ll be fine. Get to the other side of the engine room and you’ll be sucked through an asteroid field-like area and into the final zone. 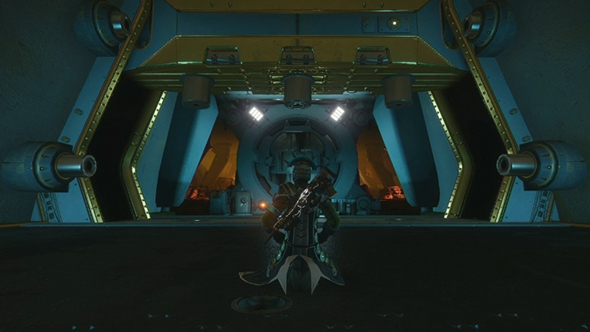 In the last segment of the raid lair you’ll be fighting the Vex. The giant shell-like construct floating in the middle of the room contains the final boss, but he must be freed from this prison first. To do so, you need to detonate crystal-like structures which spawn on the sides of the shell. They glow purple, orange, or blue, and signal what kind of element to use against them. However, using elemental weapons isn’t how to do this; you need to use special guns called Vex Craniums, which can be found around the room. The Vex Craniums must be charged in the flaming altars that are located around the room (the colour of flame in each altar will determine what element they are). The crystals will spawn when you pick up your first Vex Cranium, and will detonate after a period. You need to destroy all the mines before they explode. Split your team up to cover all three altars so you have access to all the elements, charge your Vex Craniums, and work on one side of the shell at a time. After breaking all three sides of the shell you’ll reveal Argos, the final boss. He is protected by a shield, but this can be destroyed in a similar fashion to the shell that previously imprisoned him. Three orbs will spawn near his shield. These can be all one element, or a mixture of the three. Charge three Vex Craniums for the correct elements, and then use the laser to drag the orbs into the circular metal section of his shield. This must be done simultaneously, so all orbs hit the metal circle at the same time. This will lower his shield and begin the damage phase. During the damage phase you will want to throw a load of pain at Argos’s face; rocket launchers – especially the Leviathan raid launcher – is useful for this. Be aware of the boss’s attacks in this phase; his triangular net will pick players up and require them to be saved by allies. It is easily dodged, though, so should not pose a problem. After damaging him enough, weak spots will open up on his arms, back, and head, and a series of platforms will materialise. Hop on these to reach a vantage point and shoot the weak points. These are in pairs – two on the head, arms, and back – and when broken will cause Argos to flinch and prevent him from causing a team wipe. They break based on heavy sustained damage rather than overall damage, so fast-firing weapons like auto rifles and especially Coldheart are very useful. After breaking a pair of weak spots, the damage phase will end and Argos will replenish his shield. Ideally you will have caused enough damage to reduce his health by around a third. 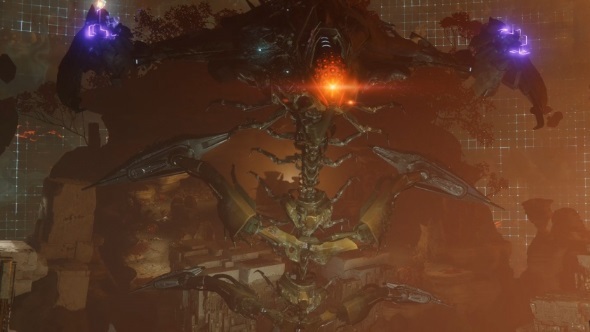 Because Argos only has three weak point zones that prevent him from wiping the team, this boss fight must be done in a maximum of four damage phases. Any more, and you won’t be able to prevent him from killing everyone. Beat him, and you’ll be rewarded with loot, and have finished the raid lair. Rather than add a wholly new raid – as has every other Destiny DLC other than House of Wolves – Curse of Osiris instead adds a separate encounter called a ‘raid lair’ to the existing Leviathan raid. It is called Eater of Worlds. 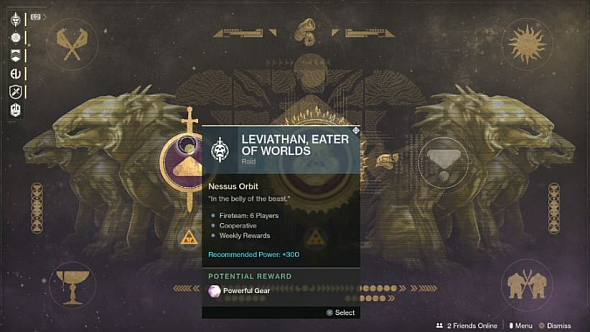 A second lair will be added to Leviathan in the second DLC – you can see the greyed-out node it will clearly occupy in the menu screen above. This probably means noentirelynew raids throughout Destiny 2’s first year, but ought to add up to more raid content in total than we’ve seen in Destiny for quite some time, depending on how large raid lairs turn out to be. There is reason to be optimistic here: Thorne said the main reason raid lairs exist is because Bungie “wanted to make more raids,” so perhaps we’ll be pleasantly surprised by their size.